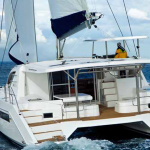 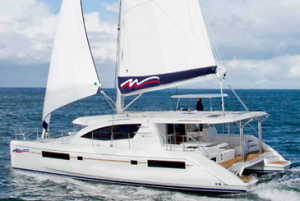 The new and spacious Moorings 4800 catamaran will be available for both bareboat sailing charters in select destinations throughout the Caribbean and Mediterranean beginning Spring 2013. 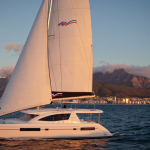 Built on the success of our popular Moorings 4600 catamaran, the all-new Moorings 4800 was designed in collaboration between The Moorings, architects Simonis-Voogd and builders Robertson & Caine. 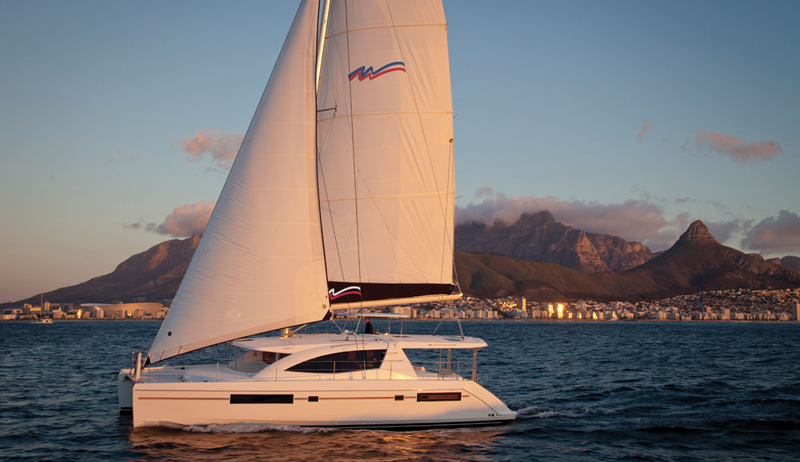 Offering excellent performance under sail and state of the art amenities, this yacht is the perfect vacation platform – ideal for a crew of 6, but spacious enough for up to 8. 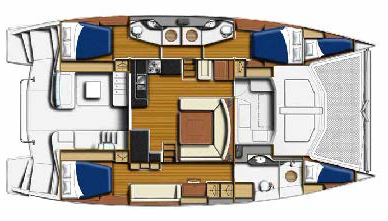 Guests can enjoy a number of luxury features including a large forward cockpit with access to the main saloon – an all-new design element that will be available for the first-time ever on a Moorings yacht! 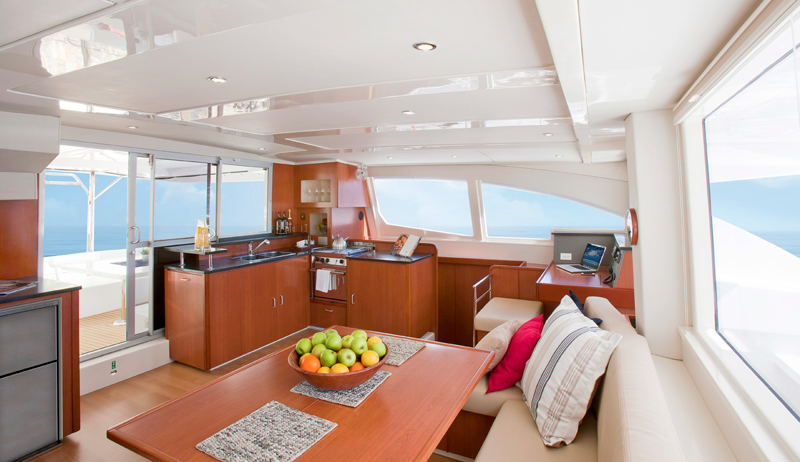 This forward cockpit was made popular on the award-winning Leopard 44, Boat of the Year 2012, built by Robertson & Caine. 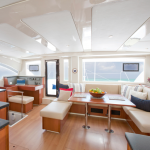 The Moorings 4800 is fully equipped with flat screen TV, solar panels, generator, inverter, and air conditioning. 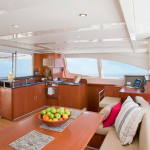 The modern galley includes all the cooking conveniences for meals afloat and the saloon’s U-shaped settee ensures ample space and full view of your natural surroundings. For an al fresco dining experience or evening cocktails, the aft cockpit offers a large dining table with wrap-around seating plus stools. 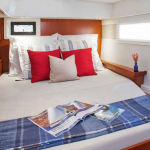 Down below, there are three air-conditioned staterooms with private en-suite bath, including an enclosed shower and electric flushing toilet. 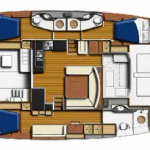 The three cabin layout puts two cabins in the port hull, leaving the starboard hull dedicated to the owner’s suite, complete with work station and large private washroom. 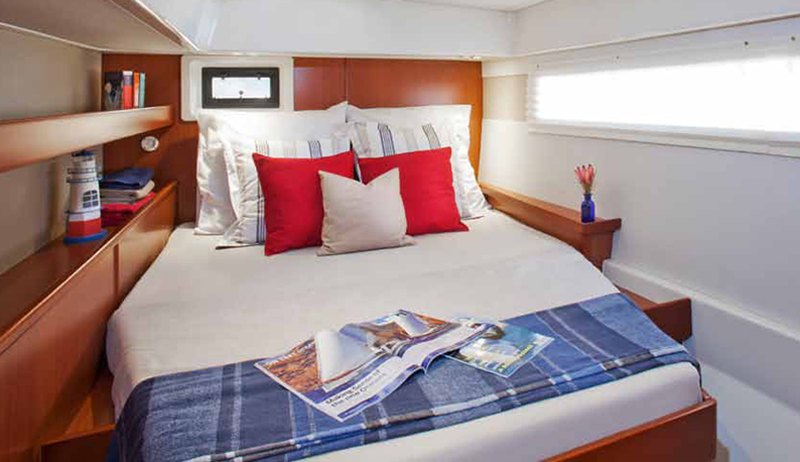 To port a single forepeak berth is available for additional storage or sleeping accommodation, accessible via deck hatch. 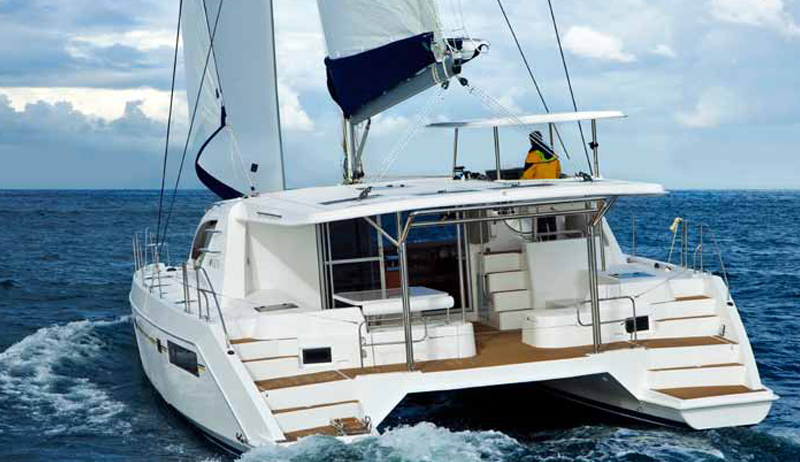 Adding to her maneuverability and your sailing enjoyment, the Moorings 4800 is outfitted with a raised helm station for excellent 360-degree visibility, a full suite of upgraded navigation electronics, an electric windlass with foot switch, twin Yanmar 54 hp engines, and sail controls led to the helm.